Steelpaint coating PU-ZINC was chosen to protect cargo hold bottom plate and lower hopper plate on then Berge Matterhorn, when the vessel was dry docking maintenance at Shenzhen Youlian shipyard in April 2014. 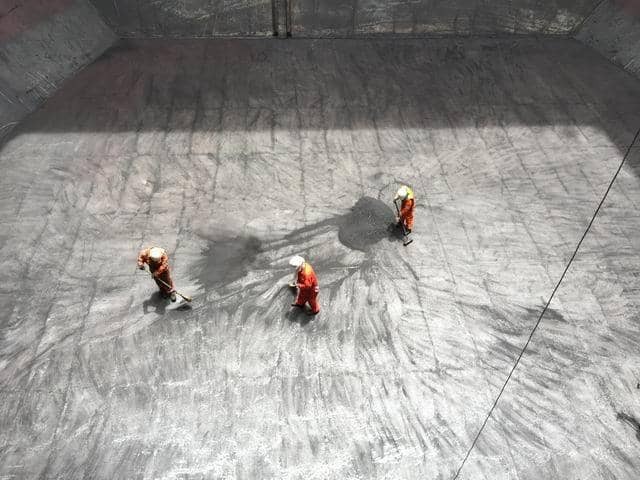 After 10 months’ ship operation, PU-ZINC coating have been evaluated at cargo hold No.7 and No.8 when the ship discharging at Taiwan Taichung port. 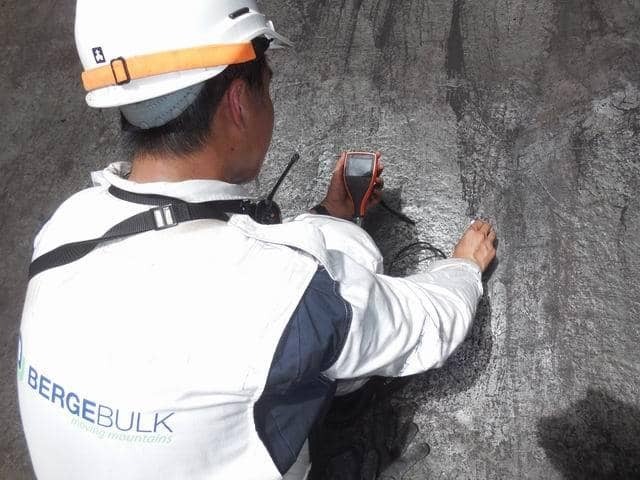 After 15 months of ship operation, Steelpaint evaluated PU-ZINC coating for all the cargo holds when the ship called the port for discharging at Krishnapatnam port, India. Cargo hold bottom plate and lower hopper plate have been protected by STEELPAINT PU-ZINC coating from corrosion for 15 months since April 2014, with the regular maintenance, the lifetime of PU-ZINC coating will be much longer. Considering the age of the vessel, inner bottom plates have a skeleton appearance, the structure areas at frames and longitudinal are raised, therefor the coating at structure areas are subject to intensive impact and damage during cargo charging/discharging, and the coating tend to be abraded faster at structure area than the plate (lower) area. Based on the close inspection, PU-ZINC coating at lower hopper plate appears very few damage from extreme impact, damage areas is less than 3% of total areas. PU-ZINC coating at inner bottom plate appear 20% constant abrade damage, particularly at frames and longitudinal structures areas, the rest of areas coating stay in good condition. As per the practice condition, we recommend a quality maintenance is required every 18~24 months for damaged coating in way of frames/longitudinal areas at inner bottom plate. Ultra high pressure water jetting is preferred surface preparation before paint touch up, the contaminations from dust/rust/imbedded coal at frames/longitudinal can be removed, GOS is the perfect company to do this on voyages with empty cargoholds. Report details of Steelpaint performance available on request. PreviousSteelpaint Testing by Petronas -Best performer.